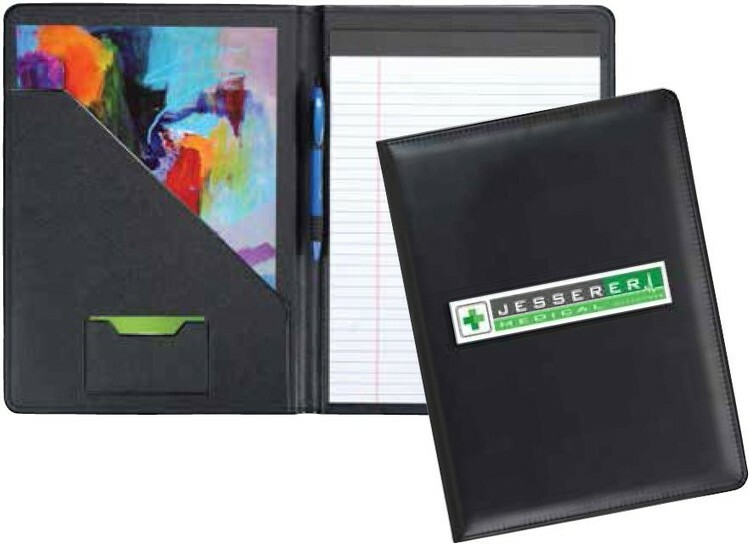 Admiral Pad Folder is made with smooth grain simulated leather and features padded and stitched covers. Ruled pad and pen loop included. - Shipping: Upgrade to 1-Day or 2-Day Zipship for an additional charge and receive priority artwork processing on your order. - Pens: Add a branded pen to ship with your journals for an additional charge. - Gift boxes available for an additional charge. Call for pricing.